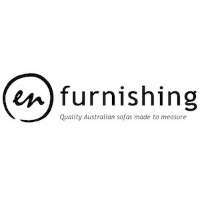 En Furnishing is a premier furniture store in Castle Hill that specialises in the finest Australian made upholstered furniture at competitive prices that won't break your budget. No longer do you need to compromise when selecting furniture for your home. With over 15 years of experience, we're here to give you the option to customise upholstered furniture to suit your exacting needs, tastes and decor. From sofas, occasional chairs, ottoman, dining chair, custom-made sofas, sofa bed, modular sofas to an upholstered sofa, we got you covered. Whether you are planning to remodel your living room with the finest home furniture, our high-quality custom-made interior decorations would be perfect for any part of your home. Our store is built on our philosophy of offering products of the highest standards to give you the satisfaction you deserve - a store you can count on to find what you need. When you buy from us, we'll ensure you have peace of mind for years to come, with quality furniture backed by experienced and professional service. On top of all that, our prices are offered without compromise to the quality or comfort of our furniture - that is our promise to you. If you are looking for high-quality Australian made upholstered furniture in Castle Hill but servicing all of Sydney, don't hesitate to contact or visit En Furnishing today!